Colleges which are good at “what they do on a daily basis” should not prepare for inspection under Ofsted’s reformed regime, the watchdog’s head of FE and skills has said. 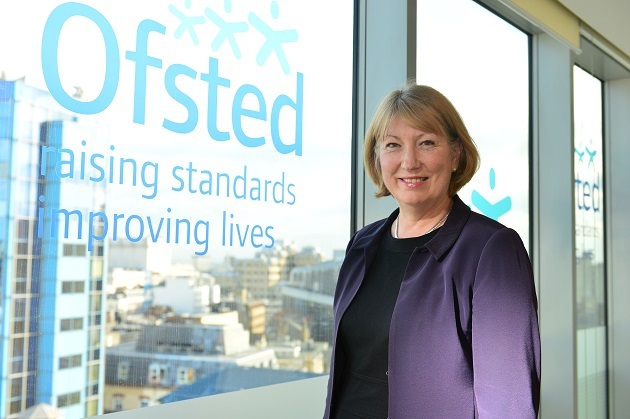 Ofsted director Lorna Fitzjohn told delegates at the launch of the new common inspection framework (CIF) and short inspections regime that those FE providers already offering a “good” education to learners should not fear reprisals. Speaking after the introduction of the new framework by chief inspector Sir Michael Wilshaw, in which Sir Michael announced that new inspections of “good” institutions would be conducted on the assumption that the provider was still “good”, Ms Fitzjohn warned FE leaders against trying to prepare. As revealed by FE Week last August, the CIF, which brings the inspection of FE and skills providers into line with early years and schools, will see inspectors no longer grading individual subject areas, but judging providers on “personal development, behaviour and welfare” of learners, while also increasing the emphasis on safeguarding when assessing leadership and management. Under new short inspections, FE providers previously rated good will be inspected every three years instead of every five or six, but inspections will last as few as two days and with as few as two inspectors per visit. Ms Fitzjohn told the launch event at Westminster’s Central Hall acknowledged the FE sector was already well-versed in what a CIF was, having been through several guises of its own. Ms Fitzjohn said there were elements which were “very much the same as the last framework”, but added that the watchdog was “moving away” from inspection based on learners gaining a certain number of qualifications to “what a college or provider actually does to prepare that young person for work”. Ms Fitzjohn also set out how short inspections could be “converted” into full inspections within 15 days if it was felt the provider under scrutiny had slipped from a “good” rating or could achieve an “outstanding”, but admitted it “wasn’t easy” for large, multi-site colleges. Other initiatives announced at the event included plans for eight regional “scrutiny committees” to independently screen Ofsted’s work and proposals to boost the watchdog’s in-house service, with a pledge that 7 out of 10 inspectors will be current practitioners within the field they are inspecting by September. Gill Clipson, deputy chief executive of the Association of Colleges (AoC), welcomed the fact inspections of good colleges would be based on the assumption they had not got worst, adding: “Too often we hear from colleges that inspection teams begin from a negative hypothesis which is dispiriting to say the least. “We are also pleased to see that the Ofsted complaints procedure is to be made transparent as this is something AoC has long been calling for. Absolutely correct. There’s no point in preparing when 40% of the inspectors simply aren’t up to the job and are incapable of delivering effective judgments. All colleges prepare for OFSTED as that is all they spend their time working towards. I work in a college and all management go on about is OFSTED this and OFSTED that. Its not about doing what’s best for students its passing OFSTEDs inspection.